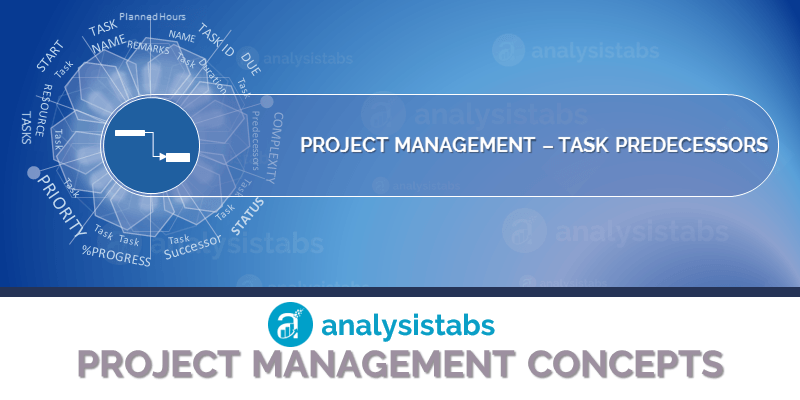 Task Predecessors Field in Project Plan Template - ANALYSISTABS - Innovating Awesome Tools for Data Analysis! Predecessors are the tasks to be completed before starting of a task. For example, Task 1 and 3 to be completed first to start Task 4. Predecessors field of a task is an optional field and it is generally a numeric data type. A Textbox control is generally used to add list of tasks to be finished before staring a task.